Keep from overeating this holiday season with a healthy eating plan that is easy to follow. Enjoy the holiday meal without skipping the good stuff! Holiday meals are filled with savoury foods that most do not consume on a regular basis. Filling a plate with food, eating, then going back for seconds before having dessert is a common routine at holiday meals. Yes, it is delicious and most cannot get enough of it until they have to unbutton their pants and lean back to take a nap. Before going overboard with the holiday meal consider what the food is actually doing to the body and how to prevent it from occurring. According to Consumer Reports on Health, a large holiday meal could quickly surpass 4,000 calories. A meal such as this can cause a cardiac output of blood to rise and divert to the intestines to help aid in the digestion process. This can take up to six hours and will leave other organs deprived. Carbohydrates in holiday meals tend to be high which causes insulin to rise preventing the coronary arteries to relax. Fat content is another concern with holiday overeating. Not only will the fat cause unwanted weight gain it can also trigger a gallbladder attack, especially in those who have gallstones already. Most holiday meals are not low in sodium which can lead to acute heart failure in persons who have had a problem. 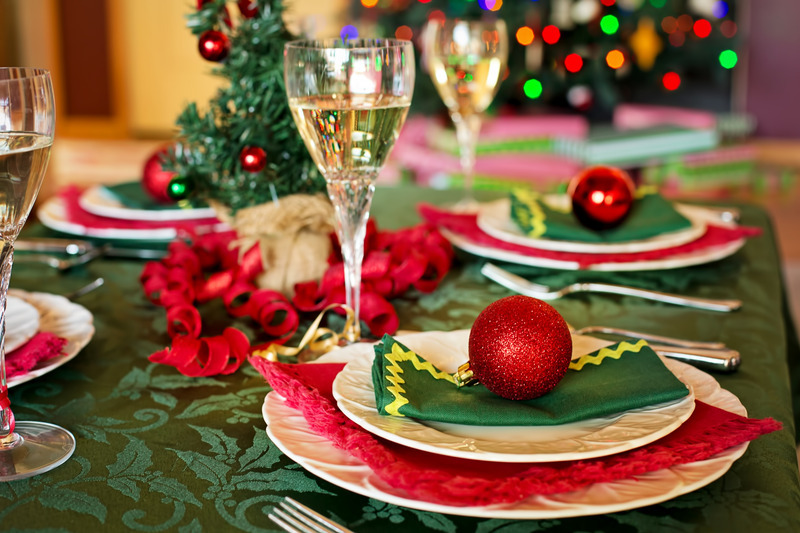 One of the most common mistakes people make is to arrive at their holiday meal hungry. Avoid the temptation to skip breakfast to ‘save room for later’. It is the holiday season, whip up a nutritious holiday inspired breakfast and have a small snack an hour before the meal begins. A snack could include a small serving of oats, a bowl of whole grain cereal, or a granola bar. As the holiday meal begins, if possible, eat a salad first. It is alright to taste all the foods that seem appealing, but don’t pile a huge plate full of food. Instead, opt for small food portions. 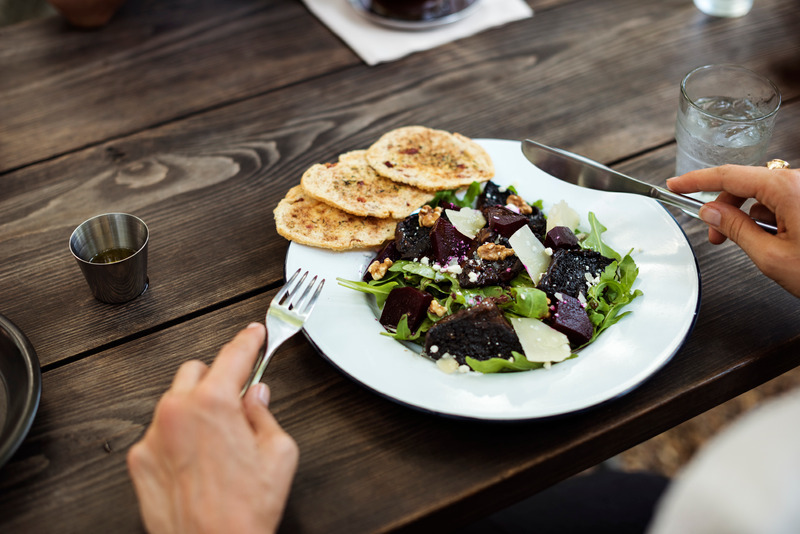 Use a salad plate, it is smaller than a dinner plate and will give the illusion that the plate is filled full. Drink plenty of water with the meal to aid in digestion. Don’t try to finish the food too quickly, eat slowly and savour every bite. Some areas have scheduled holiday walks, bikes, or runs. Begin a few months in advance and prepare for one of these activities. If none are available, grab a friend or family member and head to the gym for an hour before the holiday meal begins. This could be a wonderful time to spend time with family members that do not live near or that only come to town during the holidays. Some families enjoy other outdoor activities such as basketball, soccer, horseshoes, bad mitten, horseback riding, touch football, etc. Start a new tradition this year and come up with some outdoor fun activities the whole family can enjoy. After all, holidays are about spending time with family. Sometimes cooking will hinder the activities before the meal. In this case, save the activities for after the meal, but before the dessert. When asked to take home leftovers, if possible, decline. When leftovers are taken home, take only a small portion and save until the next day.